Hi Kay, I appreciate your thoughts here on your blog. 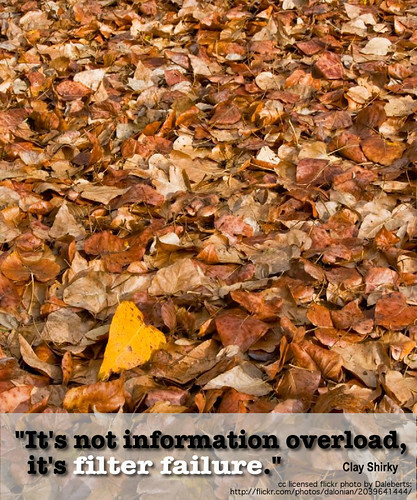 I think you’re right about the “shelf-life” of information these days. Some things are timeless as you say, but many, especially related to tech and culture, are relatively short-lived. As a fellow educator I also agree that one of the most important things we can do in education these days is teach students to be able to discern and filter the information that is coming at them all the time. 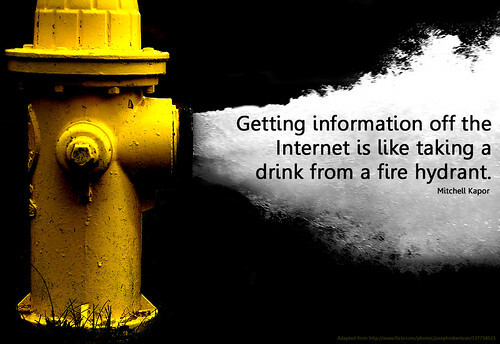 Maybe the firehydrant of this course will help us with tools to assist our students? I’m a part of your quadrablog and I’ll be posting something soon. I did an intro post a few weeks ago if you want to have a look. Thanks heaps for your thoughts, Rick. I will definitely check out your blog!